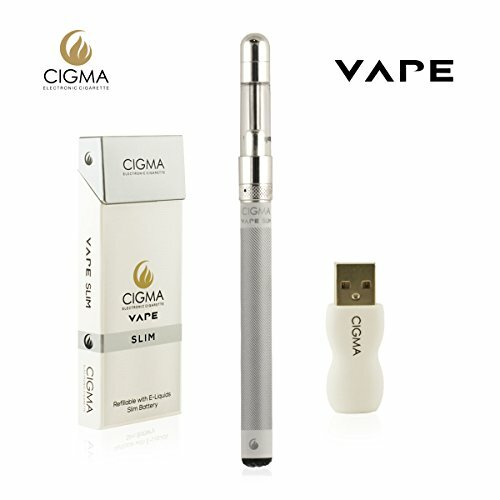 Cigma Vape – The Worldâ? ?s smallest Refillable and Rechargeable E Cigarette/E shisha! Discrete – Small – Compact â?? Stylish and Easy to Use. (Clearomizer comes with wick pre-soaked in neutral liquid, no nicotine, no flavour, vegetable glycerine â?? to increase Longevity).